Each school district has specific procedures that directors follow in order to conduct business. The best time to check on these procedures is during your job interview. Review these procedures with your administration once you have started your new job. 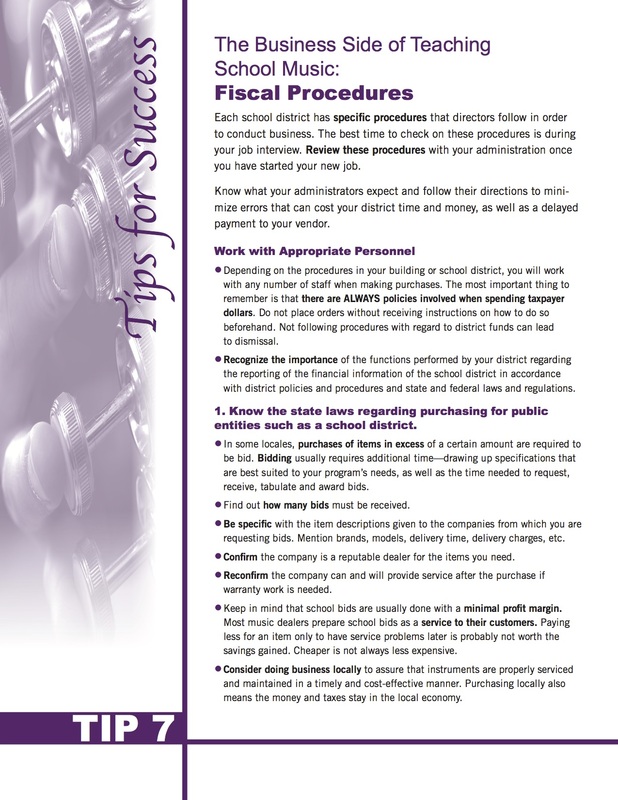 Take a look at these fiscal procedure tips.